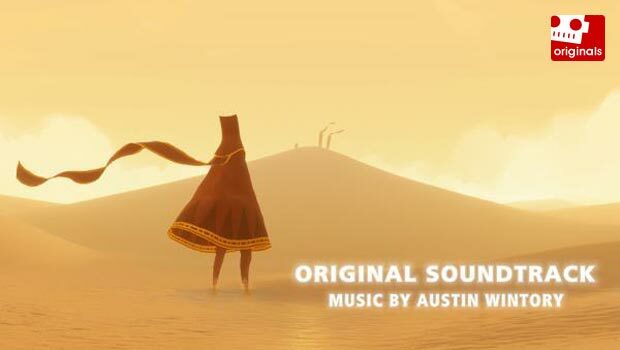 Waiting for Journey's soundtrack release on April 10, 2012 is like waiting for the game itself all over again. I am incredibly excited and can't wait! I not only had a great time playing through Journey, no doubt thanks to my steadfast companion who stuck with me through the entire experience, but I loved the dynamic range of the soundtrack and how it swelled to highlight several key moments in the game. We reached out to Austin Wintory as soon as we knew he was working on the title, and we thought it would be a good time with the soundtrack release on the horizon to have him explain in his own words how he went about creating the score and how the individual pieces take you through the journey that unfolds on the screen. We also have samples from the score for your enjoyment as you read his commentary on four of the pieces from the game. Note that the full-length version of "THRESHOLD" is exclusive to Destructoid's Soundcloud and you can hear even more samples beyond the four presented here on Austin Wintory's Soundcloud. Check it out, watch for the soundtrack release next week, and let us know about your own favorite musical moments in Journey! This is, probably obviously, the theme to Journey. The notes of this piece form the basis of literally every single note in the entire game, though ironically this exact version doesn't appear anywhere in-game. I wrote it on the day I was hired, about three years before Journey came out. The final version features a live orchestra though if you listen carefully to the version in the trailer, you'll hear it was done with samples back then (orchestra only; the cello and bass flute were recorded that first day and these are those same recordings). The cello, as with everywhere in the game, is played by Tina Guo (www.TinaGuo.com) who is a very special talent and dear friend. Her performances really are the backbone of everything the game is musically. And likewise the bass flute, played by Amy Tatum, is of great importance and recurs later. This track encompasses most all of the music you encounter in the open desert after first stumbling on to the desert creatures. The flute (again Amy Tatum) leads the way, and now joined by viola solos by Rodney Wirtz. It's a dance of sorts (with accompanying flurries on harp, played by Charissa Barger and of course Tina on cello). I always felt the arrival of these little fish-like cloth creatures was very charming and wanted the music to feel sort of refreshing. 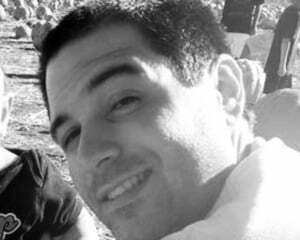 A surprise, like maybe you are caught off guard by the playfulness found in the otherwise bleak world. As the track moves on you hear more recurrences of the bass flute and a lot of the electronic textures from earlier in the score. There are some liberties taken with the album here that allow me to feature performances that otherwise in-game you can't ever hear (such as the reprise of the harp/flute duet that happens at 2:37). These cues accompany your sand surfing after leaving the open desert. For someone who really loves writing in order to feature great performers, these cues represent pure heaven. Tina, Amy, Charissa and Rodney play the living hell out of these cues, especially Tina around whose virtuosic cello solos this entire section was built. The orchestra makes a more pronounced appearance during the beautiful sunset tunnel right around 3:00. Recording this was also a delight. The orchestra in Macedonia (conducted by Oleg Kontradenko) played with a lot of emotion and lyricism that couldn't have fit Journey any better! This track accompanies the finale of the game, which I'll avoid discussing in concrete details so as to avoid spoilers. But needless to say it's the culminating moment of everything. The large scale trajectory of the score is one of electronics that evolve into orchestra, and this is basically the final destination of that journey (har har). The music is pretty highly contrapuntal and it was pure magic to record with the Macedonia Radio Symphony Orchestra. We really spent a long time nailing the performance and they seemed to have a blast with it. It really was a composer's dream. It probably comes as no surprise that I re-wrote this cue seemingly a thousand times. The precise tone of the game's end was something we were tinkering with through to the very end, but especially musically I found myself very hard to satisfy. At first all my drafts were too slow, aspiring toward a certain feel of transcendence and serenity. Then I amped up the energy but it felt like a chase or some sort of scherzo. Way way too fast and frenetic. I started to get pretty fed up and frustrated and eventually just set it down and worked on other areas. Then spontaneously one Sunday just sat down and started writing and this piece came out. I wasn't convinced that it was right but I sent it to thatgamecompany and was met with pretty immediate positive feedback. So I tinkered with it a bit more and finally felt like I had it.